Seniors have greater difficulty getting a good night’s sleep than other age groups. Poor sleep habits lead to greater issues than feeling tired the next day. When their bodies don’t get the proper amount of rest, it puts seniors at a higher risk for falls. One excellent way to address this issue is to make the bedroom more comfortable, which is why we compiled this list of the top ten sleep accessories and mattresses for seniors. The bed provides cooling comfort. 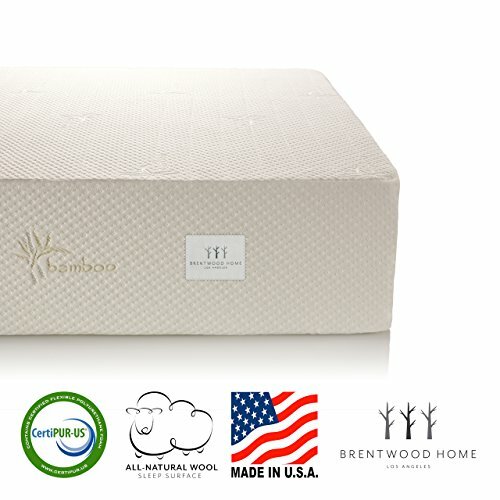 The Brentwood Home Cypress Mattress is an excellent choice for seniors because the moderately firm support helps to relieve pressure points by providing even weight distribution. 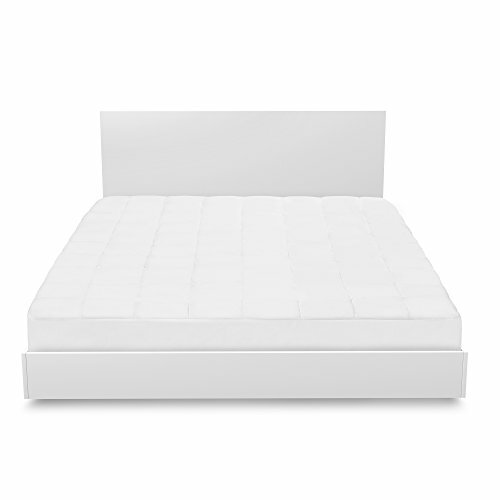 It also has a 3.5-inch gel memory foam base which provides a welcome cooling effect for better rest. The optimal temperature of around 65 degrees is essential in providing the best environment for us to get restorative rest as we age.. This model also has a wool layer which can wick moisture away from your body and keep you more comfortable. In addition to the gel memory foam, there is a 2.5-inch airflow layer and a 7.5-inch base. Taken as a whole, they dampen motion on the bed which is a significant factor if you have a sleeping partner. That’s important given the fact that the elderly are more likely to be light sleepers. It is affordable and provides adequate support. 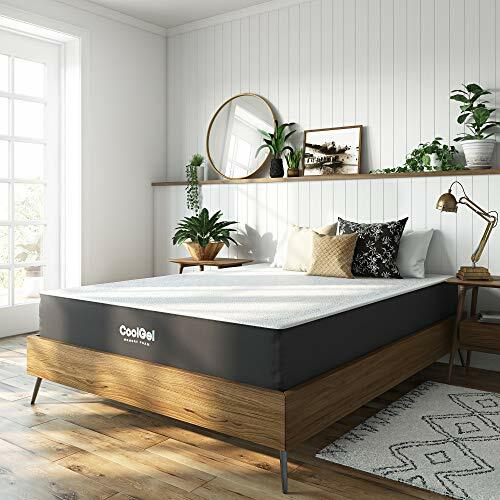 The Classic Brands Cool Gel Ventilated Gel Memory Foam Mattress offers the cooling feel we’d expect from a bed of this type. It has a medium firmness that won’t create pressure points, which can aggravate the pain associated with arthritis, making it a perfect choice for seniors. Like the previous product, it has three layers which optimize its breathability to help ensure a comfortable night’s sleep. This mattress is slightly thinner than the last bed, which makes it easier to get into if you have limited flexibility or movement. It has a removable cover that is machine-washable. It won’t aggravate back issues. 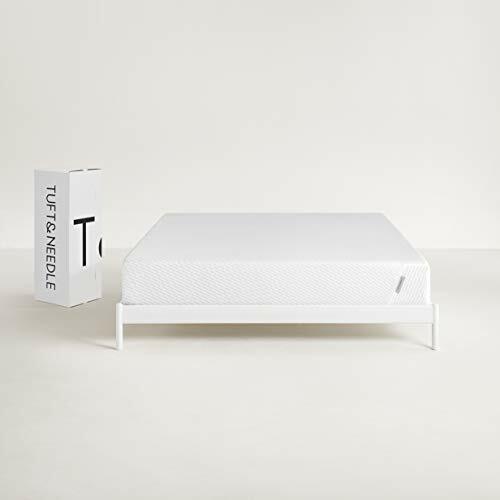 The Tuft & Needle Queen Mattress is made from adaptive foam that provides pressure relieving support with more bounce than traditional foam, making it a comfortable choice for seniors looking for a medium support mattress. They offer a 100-daysleep trial, which gives you confidence in knowing that you can return the product if it is not to your liking. That’s worth noting if you have back problems so that you have enough time to evaluate the product. It has two layers. The top is a 3-inch of T&N Adaptive Foam on top of a 7-inch support base. Both are made of high-density polyurethane foam. It is on the softer side of medium yet provides plenty of support without the sinking feeling. It’s an excellent choice for seniors and back sleepers because it doesn’t create pressure points. It’s an excellent value for the price. 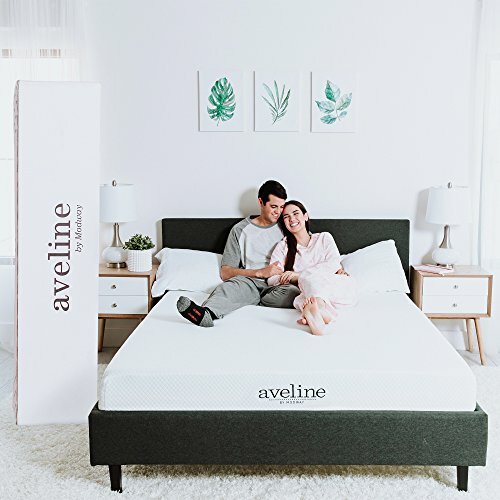 The Modway Aveline Gel Infused Memory Foam Queen Mattress is value-priced, making it an excellent choice for seniors with a limited budget. It has a cooling effect for creating the optimal sleeping environment. The gel layer sits on a 4.5-inch foam base. It is a medium firmness product that provides well-distributed support. Open cell memory foam reduces pressure on the head and neck, aligns the spine and provides support that may reduce pain in the back, shoulders, and hips as well. It is well-constructed and will relieve hip pain. 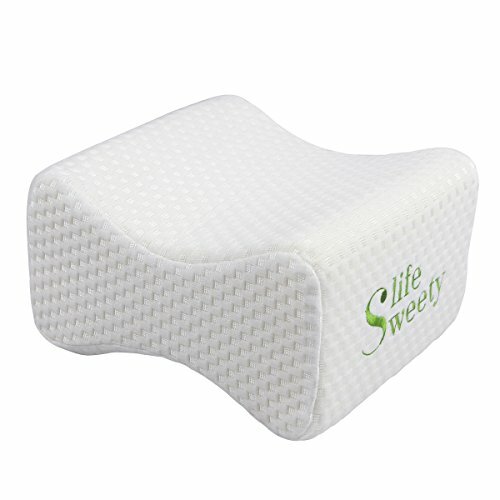 The Sweetylife Knee Pillow provides satisfying relief from hip and joint pain, which are common issues that negatively affect the quality and length of sleep for seniors. If you have arthritis, you’re well acquainted with this annoyance. This product helps by elevating your top leg to take the pressure off of your joints. It’s firmer than a standard bed pillow and it won’t compress over time. The pillow has an ergonomic shape that distributes your weight well. The removable cover is both soft, breathable, and easy to remove for washing. It willalso keep you cool and stay in place for the entire night. 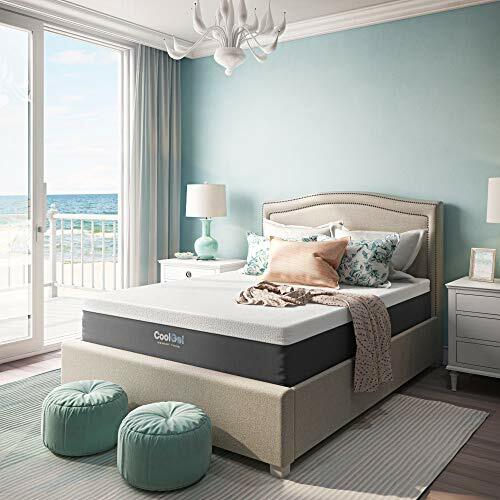 The Classic Brands Cool Gel and Ventilated Memory Foam Mattress is an excellent choice for seniors because it provides medium-firm support with a plusher surface than a traditional firm mattress. This product is ideal if you are a side sleeper because the memory foam reshapes when you change position, cradling every contour of your body It’ll keep you cool at night while providing plenty of support to keep your spine aligned to avoid back pain. It has a knit cover that fits over the three-layer mattress. The bed is well-made and despite the fact that it is described as medium, it is more on the firm side of the spectrum. It is affordable and works as described. The Solace Prevention 1000 Mattress includes high-density foam at the center to relieve pressure that could aggravate ulcer pain while soft foam at the head and foot sections provide optimal comfort. It has two layers with a softer nylon top for added comfort. The design distributes your weight well to prevent the formation of sores. It is lightweight and easy to put in place. It is firm without being uncomfortable. It is a plush pad that is easy to clean. The asthma & allergy friendly Breathe Clean & Clear Mattress Pad adds a plush layer to your existing mattress with the added benefit of defending against common allergens. It has a luxurious feel to it with a 240 thread count weave on the top. This design prevents allergen release that could trigger an asthma attack. About 7 percent of adults over 60 have asthma, with the incidence increasing with weight. Creating the proper sleep environment also involves taking measures to keep allergens at bay. That is especially important for seniors who often experience sleep disruptions. This pad also provides a comfortable surface on which to lay. The cover is machine-washable too to help improve the indoor air quality of the bedroom. The Prodigy Mattress Overlay stands out as a versatile product that’s perfect for seniors because it is designed to minimize skin and soft tissue damage that plagues individuals who are disabled or spend long periods in bed. It comes in three sections with two sizes of cells to match the contour of your body to alleviate the pain of osteoporosis. It is made of polyvinyl, so you’ll need to use a cover or place this underneath an existing one. It includes a pump to inflate and all 3 sections can be adjusted separately to address specific issues. It is comfortable with a pleasant, cushy feel. Unfortunately, it does get warm which can affect your sleep if you’re sensitive to temperature. It provides firm and comfortable support. 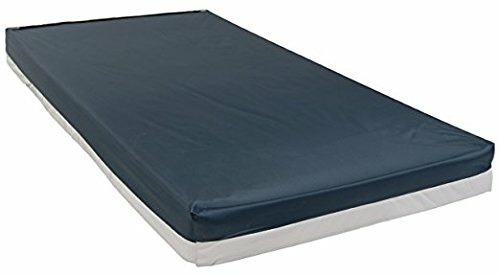 The Drive Medical 15301 Bariatric Foam Mattress provides ample support for obese individuals up to 600 pounds, making it an excellent choice for seniors who experience sleep deprivation due to lack of proper support It has a soft nylon cover with a vinyl underside. The top is water-resistant while the bottom is waterproof. You have your choice of two sizes but only one color. While it provides adequate support, you can’t attach it to your bed which can pose a fall risk for seniors because of the vinyl underside that may slip. There is a wide range of mattresses and mattress products on the market, making it easier for seniors to find a product that fits their individual needs. The industry has grown rapidly in many different directions, which can make shopping overwhelming, but you can start by considering a few key features before you start looking. You’ll find many mattresses on the market that are composed of multiple layers, making them a stark departure from the traditional options. They present value in that they can serve several functions and deal with common issues that directly and negatively impact sleep for aging and elderly individuals. Gel foam, for example, has a cooling effect to help create the right temperature. The base layers often include high-density foam for support, which can alleviate pain associated with arthritis, osteoporosis, and other spinal issues. The other advantage of this construction is that it will minimize motion detection. If you are a light sleeper, it can prevent you from waking up if you have a restless bed partner. Common materials you’ll see include memory foam, gel, bamboo, and rubber. Each one has its pros and cons. Many of them are proprietary, so we suggest sticking with practical information such as density, thickness, and specific benefits and features for a better assessment of the quality. Most products these days are CertiPUR-US Certified, which speaks to a bed’s eco-friendly construction. It’s worth mentioning that products containing latex pose an allergy risk for some individuals. If you have this health condition, pay attention to the list of materials. Support is the million-dollar question that can mean the difference between an excellent value and wasted money. Generally-speaking, a lot depends on the way you sleep and most people sleep on their sides. That means you’ll need some cushioning along with some firmness to keep you from sinking into the mattress. With the right product, you can get up to 10 years out of your purchase. However, sometimes it isn’t a good fit and that’s where a guarantee and warranty can make a significant difference. Many smaller companies have come into play, offering direct-to- consumer sales and superior service on all fronts. They have changed the industry with a move away from brick-and-mortar stores and big brand names like Serta. Instead, you’ll find manufacturers that will deliver your mattress to your door and some may offer additional services like the removal of the old bed or pickup of a returned product. You may also get a guarantee of 100 or more nights so that you can test drive the product. Most companies suggest giving it about two weeks to one month before you decide. It’ll give you time to evaluate the construction of the product and how well you sleep. If an uncomfortable mattress was your primary reason for a change, it’s worthwhile to opt for a new one that offers this opportunity. Warranties range from one year all the way up to 25. The latter is overkill since you probably won’t have a mattress for that long anyway. Ten years is average for most products. However, pay close attention to the details. Many have specific conditions that you must meet to make a claim such as regular turning. We strongly urge you to read the terms before you buy any product to avoid any nasty surprises. Many times, it boils down to the price, especially if you’re on a fixed income. The best beds for seniors can range anywhere from a couple hundred dollars to several thousand. However, don’t let it be your only consideration, particularly if you have chronic pain. The value of a good night’s sleep is priceless. Look at it this way. You’ll like spend a third of your life in bed. Therefore, it makes sense to invest in something that will keep you comfortable. Remember that how well you sleep has a direct impact on your quality of life, physically and mentally. If money is an issue, ask about financing so that you can get the right product for you. Buying a bed is a time-consuming and expensive process. However, because of its vital role in your well-being, it’s worth the effort to get one that can ensure sound sleep. It is an investment that you won’t regret. Whether you are seeking increased comfort for longer periods of uninterrupted sleep or have physical issues that need to be addressed, we hope that this guide helps get you started on a path to choosing the product that’s right for you.